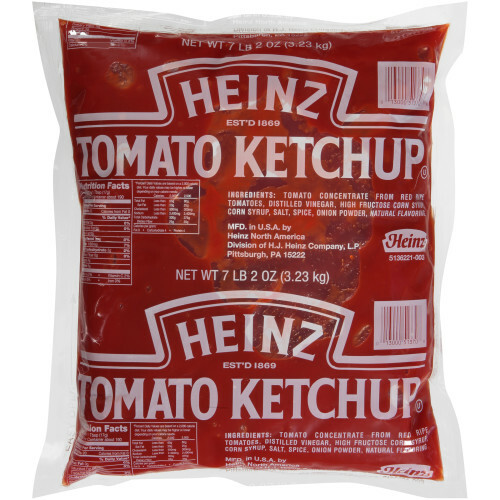 Simply Heinz All Natural Forever-Full Ketchup, 20 oz. SIMPLY HEINZ™ is made from the basics: red ripe tomatoes, vinegar, sugar, salt, and a special blend of spices and flavorings – all the good things that make Heinz America's Favorite Ketchup®. Ingredients: tomato concentrate from red ripe tomatoes, distilled vinegar, cane sugar, salt, onion powder, spice, natural flavoring. 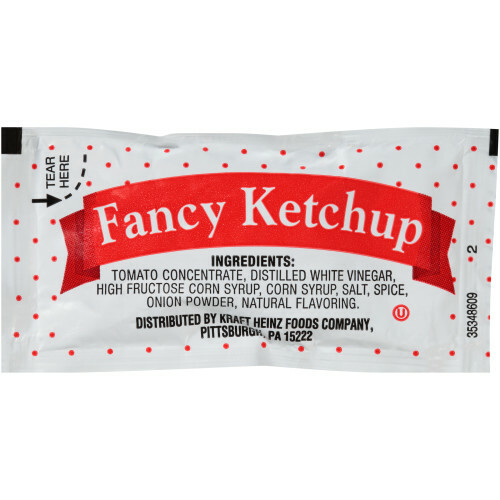 PPI Fancy Ketchup comes in a great 7 gram packet size that is perfect for consumers to grab on the go and use during any time of the day. This tomato ketchup has a thick and rich taste comes from fresh vine-ripened tomatoes and a special blend of spices - an irresistible complement to favorite foods. 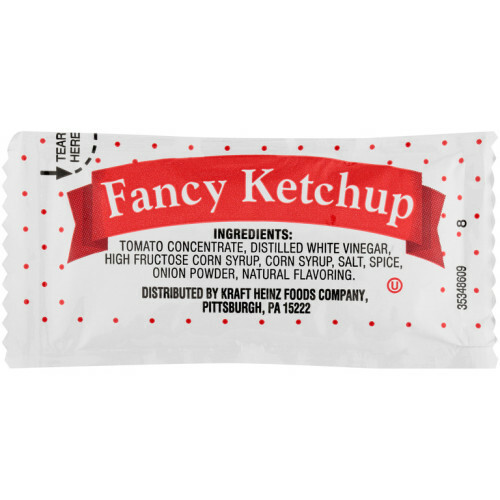 PPI Fancy Ketchup comes in a great 9 gram packet size that is perfect for consumers to grab on the go and use during any time of the day. This tomato ketchup has a thick and rich taste comes from fresh vine-ripened tomatoes and a special blend of spices - an irresistible complement to favorite foods.